ORANJESTAD - According to the Caribbean Journal, Aruba’s Soul Beach Music Festival has added another big name: Mary J. Blige. 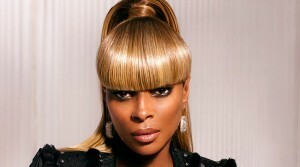 The R&B superstar, fresh off her single “Thick of It”, joins a slate of performers including Usher and The Roots. “Offering a collaboration of authentic culture and celebrated music, Aruba is thrilled to welcome such an impressive group of artists to our One happy island, including R&B sensation, Mary J. Blige. Hosted within the perfect island setting for an extraordinary 17th year, the Soul Beach Music Festival will create treasured memories and unique experiences for all our visiting guests,” said Ronella Tjin Asjoe-Croes, CEO of Aruba Tourism Authority. This year’s festival will be held from May 24-29.